Even for professional interior designers who know better, the siren song of a Google image search can be hard to resist. After all, you want to find the best products and the best prices for your clients, and if you have one of those clients who likes to scour the internet for cheaper alternatives to every product you propose, maybe it's just easier to start in the same places they do, right? But do you really know who you're getting in bed with when you take the e-tail route? We're not just talking about all of the shady third-party digital storefronts and pop-up drop-shippers who know more about web scraping and SEO tactics than the products they're selling. Your clients might be fooled by a too-good-to-be-true price from a virtual vendor, but we assume you know better. Unfortunately, the real heartbreak can come from those you thought you could trust the most. It's those e-commerce giants who look and sound like the Total Package: Beautiful and high-functioning, with a huge selection, responsive customer service, and reliable shipping and return policies. They whisper sweet nothings into your ear like "trade program" and "referral bonuses", but is it you they ultimately want, or are you just a channel to the bigger prize...namely, your clients? When it comes to retail, there's no denying that uneducated consumers make the best customers, especially when it comes to interior design and home renovation. Encouraging people to become "their own decorator" or contractor is a well-proven recipe for impulse buying and expensive mistakes. Even with liberal return policies and satisfaction guarantees in place, the trial-and-error DIY process continues to throw off profits for these internet giants as each bad or regretted decision is chased with a new one to "fix" the problem. The fact that interior designers almost inevitably end up saving their clients money --not to mention hours of wasted time and angst--tends to get lost in the noise of pretty vignettes and "shopping the look". So how long do you think these retailers are going to put up with you--the professional designer who knows how to sniff out cheap knockoffs, high markups, shoddy construction, and expiring trends--cutting into those juicy margins and repeat sales? Do you think they won’t love you and leave you the minute they get custody of your clients? 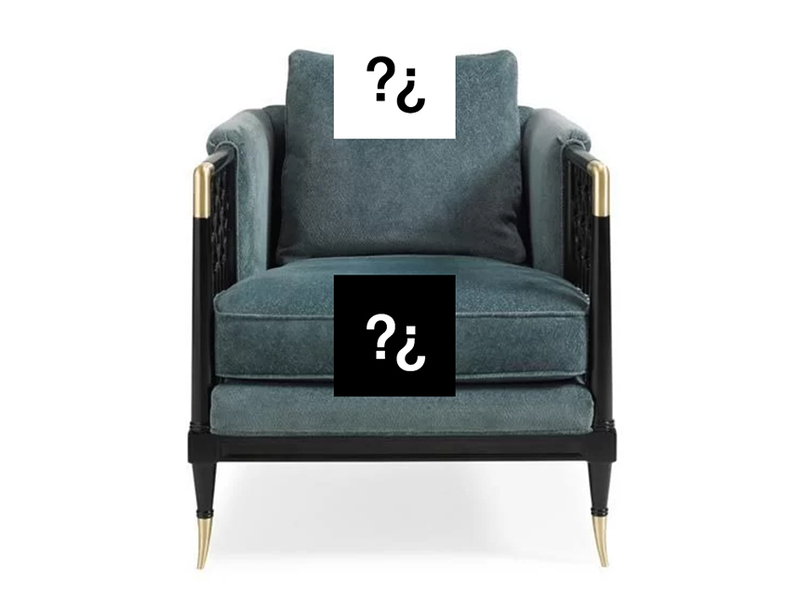 The fact that Wayfair ("Perigold") and Lowes ("The Mine") are both aggressively pursuing design-savvy consumers with discounted trade brand resale platforms should give you pause. The fact that Houzz has been offering designers a 10 % kickback if they "refer" their clients to buy directly from the site should have already been making you nervous, and their latest news--that they paid $40M to acquire design software company IvyMark --should have you reeling. What’s going to happen to the current client lists and purchasing histories of Ivy’s 2400 designer members is unclear. And you can be sure that Amazon and Home Depot aren't going to sit on the sidelines either. Now more than ever, designers need a search platform where they can safely search to-the-trade products and connect directly with the manufacturer. Steelyard is a password-protected, virtual design center supported by trusted brands who want to work directly with designers, not their clients. (Because when it comes to wholesale, an educated consumer really is the best customer!) Membership is free and open only open to vetted professionals. So don't wait until you get your heart broken before you start doing what's best for you and your clients. Start practicing Safe Search at Steelyardaccess.com today!